Let’s talk about the new tvs launched this year by Samsung. We’ll cover this extensively in another article, for now we’ve noticed the curved Ultra HD 43KS7502 Samsung model. 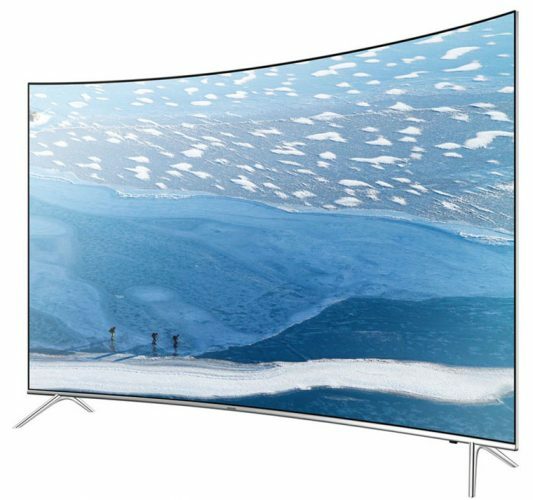 The model we are talking about has a 43 inch screen size, but can also be bought in bigger sizes for those who have large living rooms. The frame is very thin and even imperceptible, its thickness was slightly reduced, we are however speaking of a curved model. I know that curved TVs have not had the expected success, but it seems that Samsung continues to launch such models. The TV stand also has some changes, instead of a single central support leg, there was used the same system found on LG or Philips consisting of 2 small feet, arranged in the sides of the screen, to complement the new design. 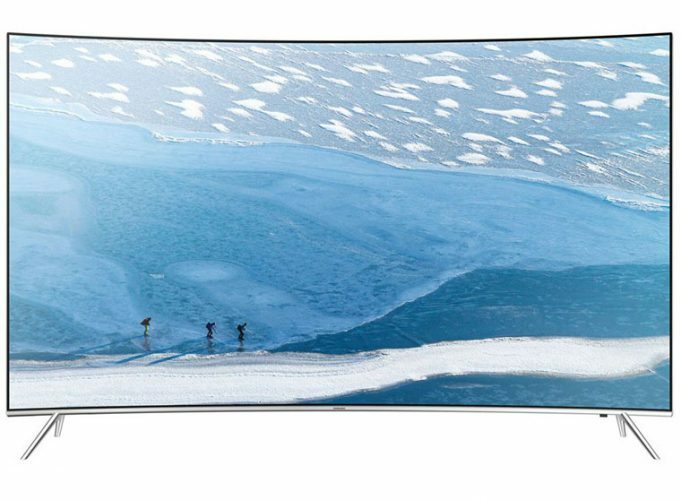 We’ve got a 4k curved screen that’s been fully redesigned by Samsung. Connectivity-wise, Samsung 43KS7502 brings along a complete overhaul. There are three USB 2.0 ports, integrated Wi-Fi chip, a CI+ slot, optical audio output, 4 HDMI ports with 4K capabilities along with countless other features. There is virtually no device unable to stream media towards this TV. Moving on, we are tackling one of the key points of any TV: picture quality. Since 2016, Samsung introduced HDR technology on all its Smart TVs. Without diving into details, HDR (High Dynamic Range) should amplify black/white contrast. The result consists of a bright image that doesn’t compromise on dark shades (usually, brightness tends to turn pitch black into a shade of dark grey). Basically, HDR brings on something though to be impossible until now: having bright video without sacrificing black from the spectrum. Samsung 43KS7502 combines HDR technology with Quantum Dot and displays the result on a SUHD screen. SUHD presents itself as a reasonable alternative for OLED displays, prolonging lifespan of the screen while maintaining a quality output close to what OLED technology has to offer. Quantum Dot is yet another Samsung patented technology aimed towards color enhancement (rendering up to a billion hues), ensuring realistic palettes whether it’s the bright blue sky or the brown mountains. Overall, all new technologies implemented by Samsung are blending into a rich experience in terms of contrast, brightness and coloring. This very experience is probably the key point in justifying a rather boosted price of Samsung 43KS7502. The UHD 4K resolution did not suffer any changes since last year, since there hasn’t been any rise in UHD video sources. An automatic upscaling function exists – however its artificial UHD rendering of HD media is yet to be tested. Sound is propagated through a system composed of 2 stereo speakers and a subwoofer totaling 40W. Compared to its older version, the new sound unit shows obvious improvement but it’s still far from touching the level of a sound bar. Music is rendered throughout the whole frequency range without noticeable defects. Improvements were also done code-wise in Tizen which now runs on a Quad Core processing unit. I rest my case: Tizen runs fast and presents a wide enough variety of games and apps to satisfy even the uber-pretentious. In terms of controls, 43KS7502 features a Smart Control remote included in the package. You can opt for a Samsung Smart TV keyboard for a few extra bucks. This review aims in no way to cover all the bases. Overall, the model scores high on all grounds, the first one to do so in our reviews for 2016.